The industrial world has been in the throes of digitization for well over a decade. Primarily through enterprise resource planning (ERP) and manufacturing execution systems (MES), critical planning, scheduling, warehousing, inventory management, and logistics processes have been automated and simplified. But these gains have been restricted to technology silos, supporting separate functions of the factory rather than improving the performance of the plant — and its extended supply chain — in a broader way. Those days may finally be in the past, as manufacturers now have a golden opportunity to take advantage of digitization’s promised outsized benefits. The advent of complex smart sensors, artificial intelligence, big data pools, and robotics, combined with the vast connections of the cloud, is heralding a new era for manufacturers, marked by totally integrated factories that can rapidly tailor products to individual customer needs and respond instantly to shifting demands and trends. This fully digital factory can be a catalyst for a kinetic growth agenda delivering gains in productivity, financial and operational performance, output, and market share as well as improved control and visibility throughout the supply chain. The factories also foster improvements in safety, environmental sustainability, and the rightsizing of global factory footprints. Sometimes known as Industry 4.0 (the first three industrial waves were built upon steam-engine mechanization, electricity and the assembly line, and the emergence of computers), the digital factory is a broad network featuring equipment from the catalog of the Internet of Things, integrated into an end-to-end ecosystem. This ecosystem includes internal functions — for instance, sales, procurement, engineering, and R&D — and external players, including suppliers and customers. The factories also foster improvements in safety, environmental sustainability, and rightsizing footprints. However, perhaps the most intriguing takeaway from the PwC survey was that despite their timidity about digitization, manufacturers are beginning to recognize its strategic potential, which previously tended to be overlooked. That’s not to say that bread-and-butter tactical considerations are ever far from manufacturers’ minds; 98 percent of respondents still view digitization somewhat blandly as a path for increasing production efficiency. But at the same time, a whopping 74 percent of companies named regionalization (being able to set up or expand factories in markets where their products are sold and where opportunities exist to widen revenue streams through customized products and improved service levels) as a primary reason for digital investments. Moreover, in a sharp departure from the recent past, the possibility of being able to immediately tailor products to match customer preferences and to offer customers the option to “build” their own products appears to be driving production decisions more strongly than slashing labor costs. Indeed, only about 20 percent of respondents now plan to relocate manufacturing facilities to low-wage countries in Asia, Eastern Europe, and South America; nearly 80 percent are looking at Western Europe (where their largest customer bases are) for new digital factory capacity. Evidence of this trend can be found in Adidas’s new “speed factories” — one established last year in Ansbach, Germany, and another this year in Atlanta. In these facilities, automated production lines, managed by human programmers and fed by networks that oversee the sportswear company’s supply chain, are able to make a pair of expensive, customized cross-trainers from start to finish in about five hours. In Adidas’s low-cost, less digital Asian factories, this process can take several weeks. According to the company, the speed factories will more than pay for themselves in the next few years when they are scaled up. In particular, the speed factories are expected to slash the long lead time for debuting new shoe designs and allow Adidas to react quickly to about-faces in customer preferences. Some of the technology spine in digital factories involves relatively old-fashioned software (primarily legacy ERP/MES systems or even MS Excel) that was originally acquired to perform basic planning and address operational inefficiencies. By joining these isolated data and analytical networks, via sensors and the cloud, to a common infrastructure, it is possible for components, machines, production managers, transportation vehicles, and assembly-line workers to continually communicate with one another and the extended ecosystem in real time — greatly shortening the distance and time from raw material to finished product and facilitating proactive equipment maintenance. Much of the impact of digital manufacturing will come from significant advances that are still evolving and that postdate the traditional ERP era — for example, robots that can learn through repetition rather than programming. This equipment can give workers the opportunity to train machines quickly to tackle multiple tasks, flexibly shifting robots from job to job as specific factory activities take precedence. Another example is drones, which can be used for rapid transport of a missing part to an assembly station and for visual surveillance of plant and equipment performance. In a somewhat more open-ended application, Austrian automotive supplier Magna Steyr employs drones in its plant in Graz, Germany, to independently fly through the assembly line, scanning materials labels to compare against available stock in the warehouse and provide information to the network for managing factory inventory. Magna Steyr has also embraced an intriguing component of the digital factory whose potential value is just beginning to emerge: namely, the digital twin, or a virtual doppelganger of the plant, including form, functions, and chemical and physical processes. With this approach, new factories can be designed and engineered in three dimensions, and potential glitches and inefficiencies may be remedied before the plant is put into service. After the plant is on-line, real-world performance and activity data is fed back into the digital twin, which can be monitored and adjusted to continuously optimize processes and maintain equipment at peak efficiency. One of the more intractable obstacles to a successful digital factory is the makeup of the workforce itself. This type of advanced production approach represents an entirely new model of human–machine interaction, one that not many workers — or manufacturers — are prepared for. In our view, understanding the impact on the people in the company is at least as important as calculating the financial benefit of the digital factory, in part because the former will ultimately impinge on the latter. Employees who feel marginalized by the emphasis on new technologies or who are not equipped to work in that environment will compromise the factory’s chances for success. Purely from this perspective, companies are clearly aware that they are not ready for digital factories. According to our survey, around half of manufacturers believe that their employees are not open to digital change, and an equal proportion feel that their company lacks a truly digital culture. Part of the solution is to retrain the company’s ablest workers to be more data oriented and conversant in programming factory automation equipment; another is to support government-based apprenticeship programs and recruit employees who better match the requirements of a digital factory. In other words, manufacturers cannot afford to be passive but instead must lead the charge toward reorienting the skill sets of their current and future employees. But that alone is not enough. Top management must actively support the move toward digitization and, very publicly within the organization, build trust and acceptance for the new strategy by offering employees a convincing narrative of how they will benefit from the technologies. Executives could stress that workers will be relieved of tasks that are highly repetitive, physically difficult, and unsafe while improving their accuracy and productivity. They may enjoy the benefits of a cleaner environment inside and outside the more ecologically sound factory. And their employment and salary prospects may actually improve. Approximately half of the companies responding to the PwC survey expect wages in digital factories to increase, and they believe that older employees will be able to stay at their jobs longer; 86 percent expect that overall, the number of hours employees work will stay the same. This suggests that companies will be sharing some of their new gains in efficiency and revenue with their workforce. For some manufacturers, the obstacles to digitization have a chilling effect. They are frightened away from modernizing their factories, even though the long-term benefits should be obvious — as should the threat that competitors will outpace them by adopting new technologies. The only way forward is to adopt a realistic road map to digitization. Here’s a six-step plan. 1. 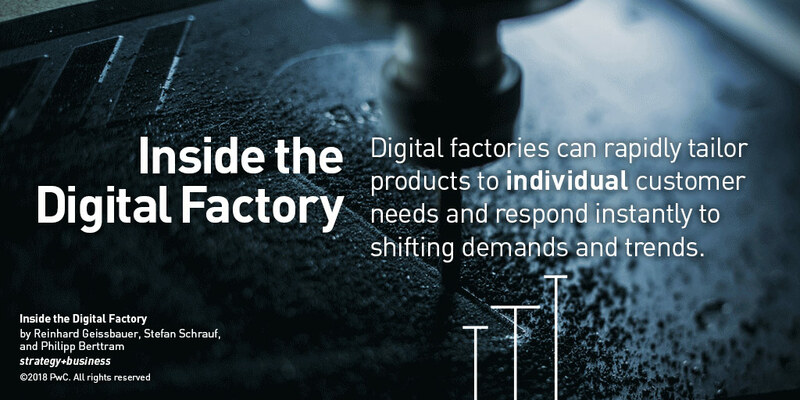 Map out your digital factory strategy. Draw up a coherent model for a digital factory that is closely linked to the company’s overall business strategy and that can be implemented throughout the organization. In setting priorities for the digital factory, make sure that people are as important as technologies. To succeed in implementing this first, critical step, you need a strong internal network of champions, composed of top leadership, management, and workers or team leaders on the factory floor, with an emphasis on authentic informal leaders. 2. Create pilot projects. Start with a pilot program to test out technologies and concepts. This is especially useful if it is difficult to secure funding or to build support for what may be seen as a new, untried, and risky approach. Early successes with small implementations can often generate enthusiasm for a larger rollout. Possible pilot options are implementing vertical integration within one or two manufacturing sites, including digital engineering and integrated manufacturing planning, or installing sensors and actuators on critical manufacturing equipment and using data analytics to explore predictive maintenance solutions. Another approach could be to digitize specific production lines within a particular plant. It is critical that these projects involve integrating various digital applications, rather than just repeating isolated technology upgrades. 3. Define the capabilities you need. The lessons from the pilot programs will allow you to define the necessary capabilities. These capabilities will depend on your company’s production strategy, business goals, and ability to develop and adopt new technologies. Some organizations make their name as leaders in logistics; others derive profit growth from high productivity or stellar product quality. Still others use data as a springboard to innovation. Digital equipment can help in all these areas, but without the right capabilities — a term that encompasses the dimensions of organization, people, processes, and technology — the digital factory will not achieve the goal of enhancing the business. 4. Become a virtuoso in data analytics and connectivity. As companies accelerate their use of data-driven technology for process and quality improvement, resource management, and predictive maintenance, connectivity is the thread that holds the digital factory together. Every company will need to master connectivity tools and systems, which produce and communicate data, and the analytical tools that put data to work in order to improve efficiency and quality. 5. Transform factories into digital factories. The digital factory journey is a transformative one. And as with any kind of transformation, managing the change — particularly how it impacts your company’s people — is vital. Obviously, the foundation of digital factories is new technology and digital solutions, and a company transforming its factories needs to get this right. It’s just as important, however, to simultaneously develop all the other aspects of digital capabilities — process, organization, and people — to make the transformation sustainable. To address workforce challenges, partner with your employees and invest in training and continuing education. In addition, top management must place the digital factory strategy squarely at the center of the C-suite agenda. Free up digital teams to drive fast progress by avoiding the traditional project approval processes, which tend to be quite conservative. More streamlined reporting channels can ensure that digital teams will be able to focus on adding value rather than getting bogged down in administrative activities. 6. Integrate digital factories into a comprehensive digital ecosystem. If possible, be ambitious about your digital factory strategy. For instance, consider fine-tuning planning and production using real-time short-term customer demand data, which will allow you to flexibly align product output with consumer preferences. 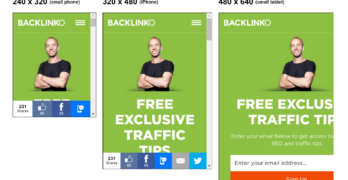 Or integrate digital features into products to potentially offer services that deliver concrete value from data. For example, a machine manufacturer might use sensors and artificial intelligence to sell enhanced maintenance packages. There also may be ways to monetize the data generated by the manufacturing process itself. The implications of this are profound. With a digital factory, instead of focusing solely or primarily on production, some companies may have opportunities to increase profit margins and customer share in the lucrative after-sales market as well as tap entirely new business sectors. Importantly, the digital factory ecosystem must include an integrated digital supply chain that is fully networked and transparent to all the players involved — from the suppliers of raw materials, components, and parts, to the transporters of those supplies and finished goods, and finally to the end customers. 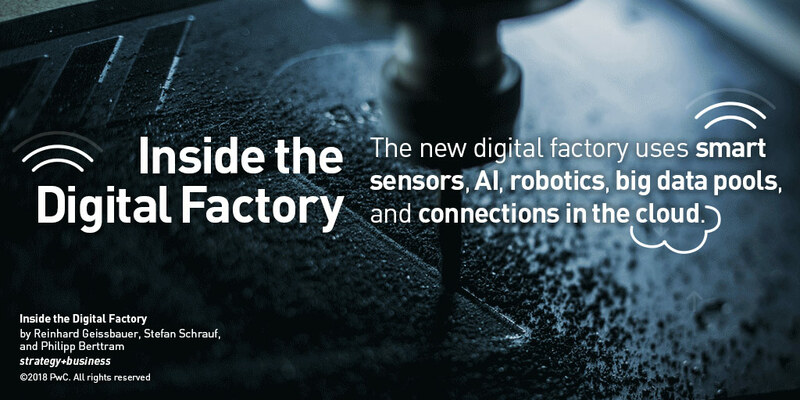 Because successful digital factory applications are transformational, don’t expect a quick payback as might occur in a more isolated technology upgrade, such as adding a single robot to the assembly line. Although the benefits of a digital factory far outpace the gains from one-off technology improvements, it is likely that the return on investment for a digital factory could take as long as five years. But that just adds to the urgency for manufacturers to get started on the path toward transforming their plants now. Think about it: In 2023, is it even possible that industrial factories will look anything like they look today? Now consider the competitive position your company will be in if it is the last to realize that the factory of the future has arrived. Reinhard Geissbauer leads PwC’s digital operations impact center globally. Based in Munich, he is a partner with PwC Germany. He supports industry leaders in developing digital product and service portfolios, digital ecosystem solutions, and strategies and applications for smart supply chains and smart manufacturing. Stefan Schrauf is a leading practitioner with Strategy&, overseeing its Industry 4.0 practice for Germany. He is a partner with PwC Germany, based in Düsseldorf. He advises global corporations on developing operations capabilities and becoming digital enterprises. Philipp Berttram is a leading practitioner in digital operations and supply chain and leads PwC’s digital operations impact center in EMEA. Based in Munich, he is a principal with PwC Strategy& Germany. Farboud Cheraghi, a manager with PwC Strategy& Germany, contributed to this article.